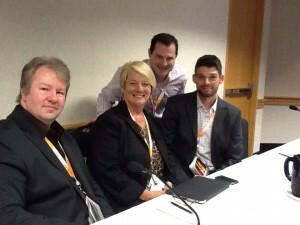 Marketing in Canada – SES Toronto - JLH Marketing, Inc.
Andrew Goodman of Page Zero Media is moderating. Why should you care about International Marketing? Keys to ranking in these engines? In Hong Kong/Taiwan, Google and Yahoo are more popular. But in PRC (People’s Republic of China) Baidu rules. He starts with a quick overview of online challenges for Canadians such as where should they host? Should they use .com or .ca? Should they show or hide their Canadian pride? What are they, really? Does everyone agree? Consider location and laws, remember the cloud does not exist in Canada! Website architecture: He shared a very good slide of pros/cons in arch decisions which I will add when it’s available. Ex of sherweb.com showing French version in English search. Starts by saying don’t just market to people, step into the life. Don’t just translate, engage. Poland is also strong and developing and is huge opportunity since most marketers ignore it. It’s interesting to note that in countries where a Latin language is used (English, French, Spanish – anything with alpha characters) Google is king. In non Latin languages (China, Japan, Taiwan), the dominant engine is more likely to be a local engine like Baidu. Think carefully about pop culture references and translation issues before you translate them. He had a client who named their company “Up the creek” because it was literally in a nice location on a creek and they wanted to emphasize that. However, when they expanded to the US, they almost didn’t notice that “up the creek” means “in trouble” in the US. Lesson? Make sure you involve a native early! Don’t do a global search campaign, do a bunch of coordinated local search campaigns! Make the phrase “English site” go to the home page, but if you offer an option for “English”, make sure it just translates the page you are on and doesn’t bounce you back to the home page. Timing is important in local markets depending on seasonality. For example, the tourism seasons starts at different times depending on whether you’re in the US, Canada, Germany, Australia, etc.